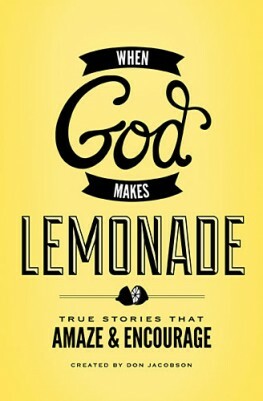 When God Makes Lemonade is a fantastic book of short but true stories from a very wide variety of authors. Most stories are around 6 pages long and include a wide spectrum of topics. The tie that binds all these stories together is the tragedy that amazingly turns around into triumph. Although not all stories are clearly focused on God or Christ, most at least point to Biblical principles. Whether you want to find a story for a sermon, to be encouraged in hard times, or to bring a word of hope to a friend in trouble, this book will help. As a pastor I’ve already used several stories as powerful illustrations and will continue to do so. At the end, Don Jacobson promises that this is merely the first volume of others to come. I’m already looking forward to the next one! This book has been reviewed as a part of the Book Sneeze Blogger review program. Thanks to Thomas Nelson Publishers who provided a copy for review. I was not required to write a positive review.